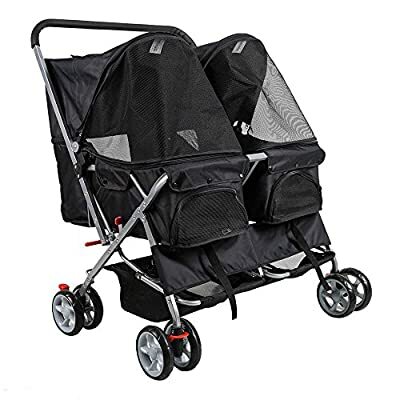 At the moment you are looking at KARMAS PRODUCT 4-Wheel Twin Double Pet Stroller Cat Dog Walk Travel Folding Carrier For 2 Pets which is one of our several available strollers from the make Karmas Product. 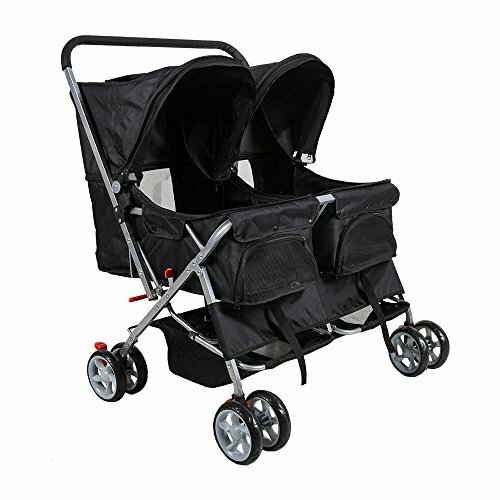 Pick this wonderful stroller now or search through our website for other like choices. 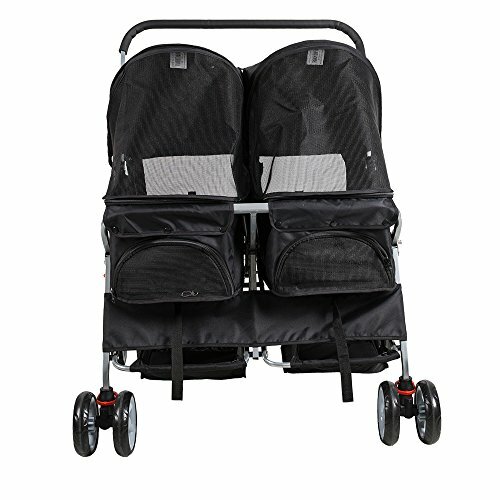 Karmas Product Pet Stroller is the best choose for you and your lovely pets. Its steel frame is sturdy. And the big windows is breathability better for pets. Also it's convienient for looking after pets. It's equipped with a large storage basket for refreshment, toy, snack and so on. Take it home,and take your twin pets outside to enjoy a beautiful day. Double steel frame. 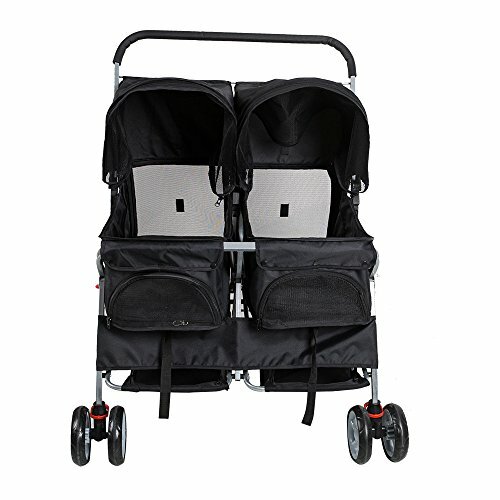 It's durable and it's sturdy enough to hold two pets. It can be folded so that it's easy to storage and transport. Two safety belts provide plenty of safety. Multiple Windows for Breathability, Roomy Design for your lovely pets. And the storage basket under the seat is convenient for putting some pet snakes and others. 4 large wheels to roll smoothly over rougher terrain. 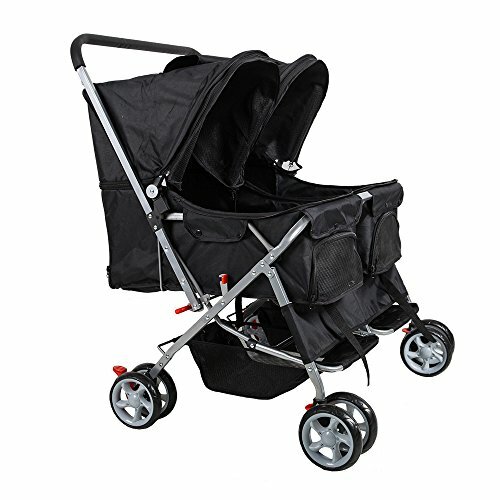 360 degree swivel front wheels; rear wheels can be locked for stability. Two space for two pets to have their own space, Two space for two pets to have their own space.Two space for two pets to have their own space. One Seat size:25.6(L)x11.8(W)inch. The lovely pets can sit side by side going out in the stroller.